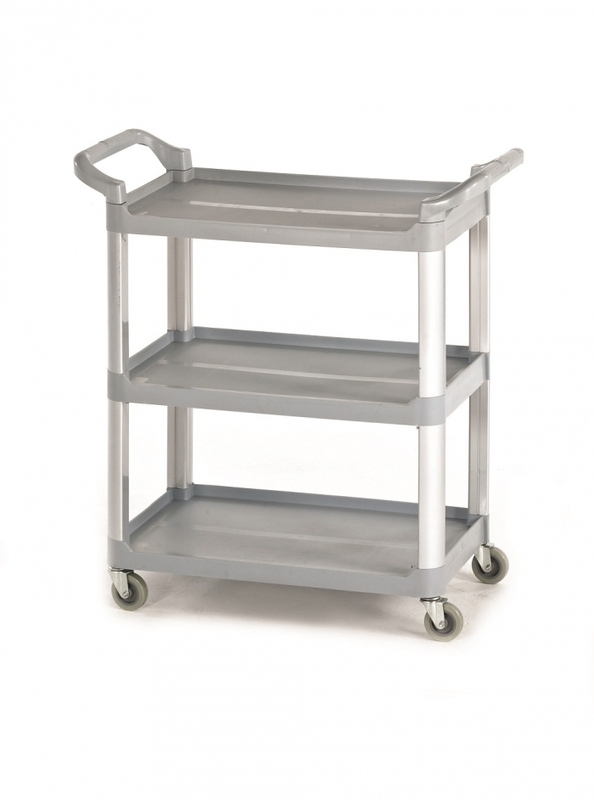 A simple range of Shelf Trolleys that is suitable for a variety of applications - either in the warehouse or office. Hygienic - easy to clean. Clearance between shelves 280mm. Unit comes with plastic shelves with strong aluminium uprights. 25mm lip on 3 sides and a 5mm rim on 1 side. Mobile shelf trolley on 4 swivel non-marking rubber castors. Buckets not included. Overall size: 850 (L) x 420 (W) x 910 (H) (mm). Weight 8kgs. Load capacity 100kgs. IMPORTANT Our 14 Day Money Back Guarantee does NOT apply to these products.